Promo Pack Free Download - It includes all three tracks in 128kbps format plus some artwork. Potty Mouth Music label run by James Amato from Chicago groups in its roster top guys in this category with smashing releases hitting the charts and DJ crates with extraordinary regularity. Crookers, Hijack, Mightyfools, The Bulgarian, Heavyfeet, Santiago and Bushido to name the few - I've heard so many banging killers from them that I eagerly wait for every release. 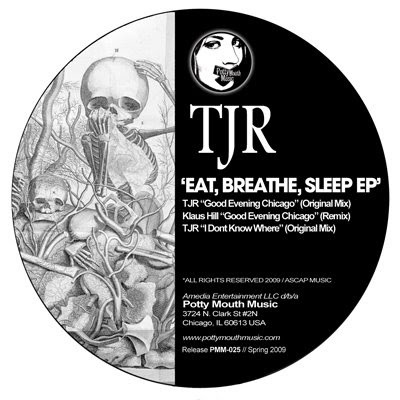 This time it's the debut release by Chicago's TJR: Eat, Breathe, Sleep EP including two original tracks and one remix by Klaus Hill from Australia. I Dont Know Where is a solid disco-oriented, fidgety stomper with a few lazer soundz added for a good measure, but definitely the higlight of this release is Good Evening Chicago. The remix by Klaus Hill is okey, but nothing more. I prefer the original and will be waiting for more remixes as they will definitely follow. Listen to the tracks in the promo pack and grab them from Beatport. 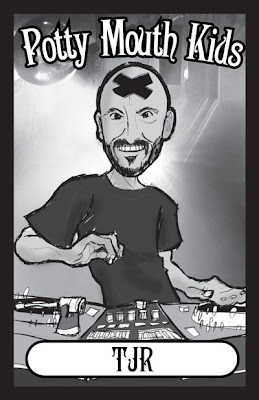 BONUS: TJR - May 2009 mix - check the latest mix by TJR.